In our Delaware, zone 7a Fall Garden, the colors are more muted now, a quiet transition from the wild color party of spring and summer into winter dormancy. The first leaves are changing color and we are having that wonderful “Indian Summer” warm spell before hard frosts set in. 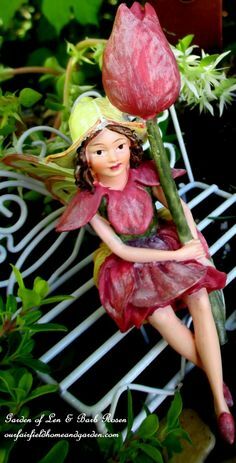 It’s time to clean up the garden and tuck it in for the winter with sweet dreams of spring. Hacking, whacking and hauling are the order of the day. Clearing spent flowers, gathering seeds, trimming shrubs and putting in some seasonal decorations have kept me busy the last few days. 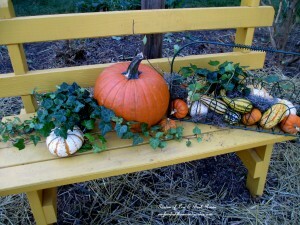 After clearing the front flower bed, I lay out some straw and placed a little bench with Fall gourds on display. 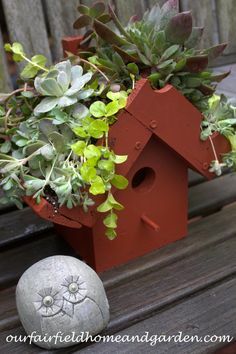 Window boxes are decorated with natural materials now and again for Winter. Most of my half acre is planted, but I keep a little lawn in the front so the neighbors don’t get too nervous! 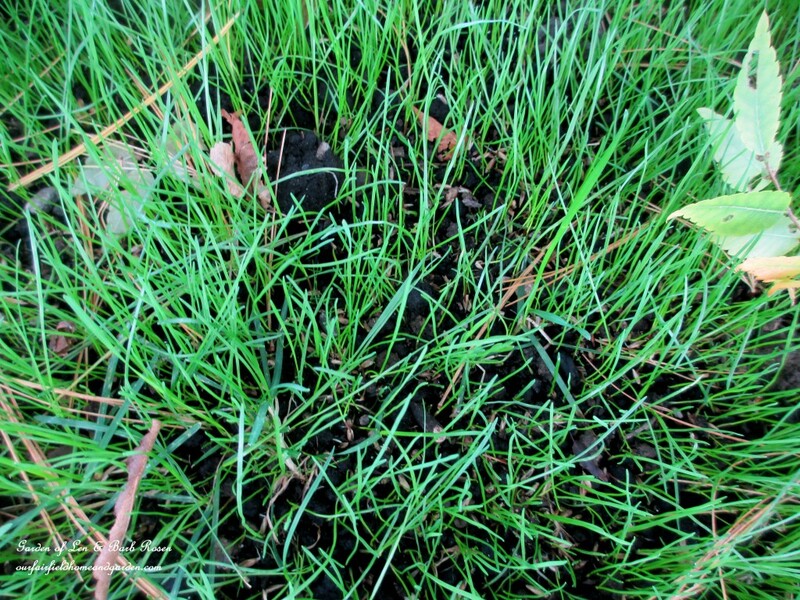 Now’s the time to spread a thin layer of compost on the lawn, reseed thin spots and water to get grass seedlings established. I also jot down notes about where I want to add plants in spring and what plants to add, plus which plants I want to divide in spring when they emerge. This works particularly well with hostas – they are harder to divide as they get larger. I have many houseplants that go outdoors for “summer vacation” and I am busy cleaning them up, repotting those that need it and spraying them all with a homemade dormant oil solution. For just pennies you can make a gallon with items found in your kitchen cabinet! 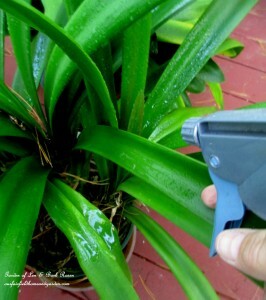 Spraying the top and under part of all the plant’s leaves kills the insects that otherwise might come inside on them. We made a Garden Room a few years ago, so I am lucky enough to have a spot to bring many plants in. I also take cuttings of favorite annuals such as begonias and coleus to start new plants for next year after I spray them too. 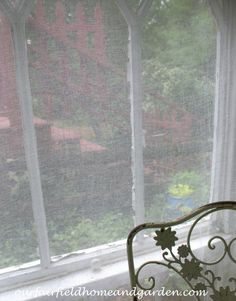 Let the plants dry thoroughly before bringing them inside and make sure to site them where they will get enough light. If you have time, it is a good idea to repot plants that have become pot bound and keep the mess outside! Here’s the easy recipe for DIY Dormant Oil Spray : (Mix 2 Tbs ultrafine canola oil with 1 Tbs baking soda and a gallon of water in a container and shake well, then pour into a spray bottle to apply). 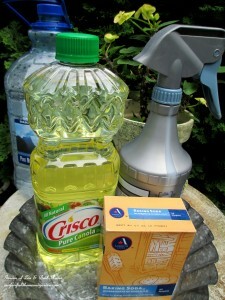 Make your own dormant oil spray for pennies! Spray plants liberally outside and let dry thoroughly. Take cuttings of your favorite coleus, geraniums, begonias and other annuals. These can be rooted indoors to save money and give you an early jump on the spring season. Many of these sturdy plants will root in water, then you can repot them in soil to put in a sunny window until the danger of frost is past. 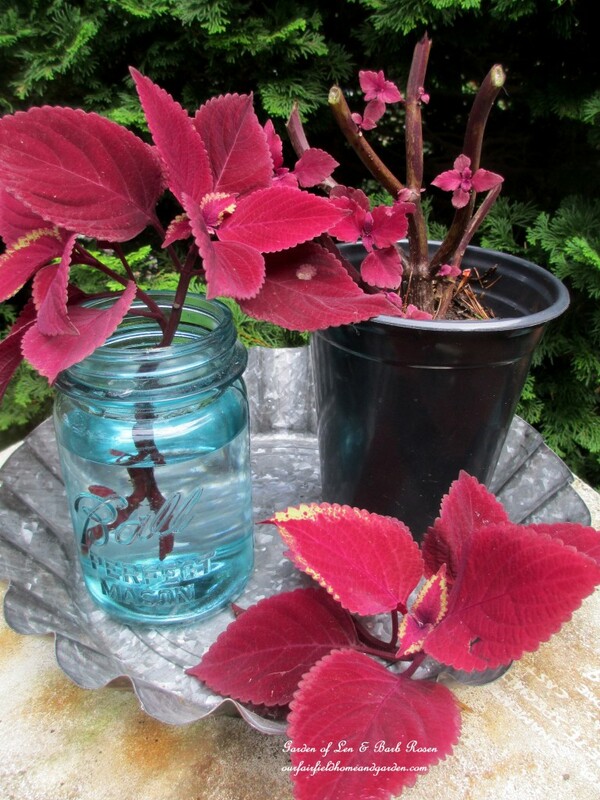 Take cuttings of annuals such as coleus to start new plants for next spring. Every spring I go on-line to pre-order bulbs for fall planting. And then in the Fall, 5 or 6 hundred bulbs show up and I have to get them planted! This year I am trying some perennializing tulips, another color of camassia and putting in more varieties of narcissus and miniature daffodils. With this many bulbs, I do not dig individual holes for each bulb. I dig a larger hole and interplant bulbs (early, mid and late spring bloomers) to keep the bloom coming in the flower beds. Do follow the planting depth suggestions and wait until it is consistently chilly out in your area before planting. 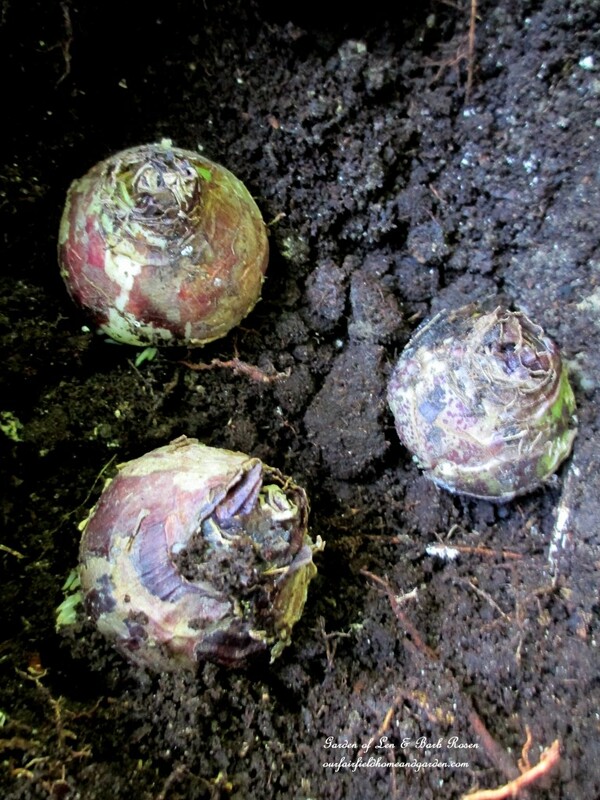 Fall is time to plant spring-flowering bulbs. Don’t forget to put your tools away clean for next season’s use. I like to rub beeswax on my shears and pruners and purchase the beeswax locally. 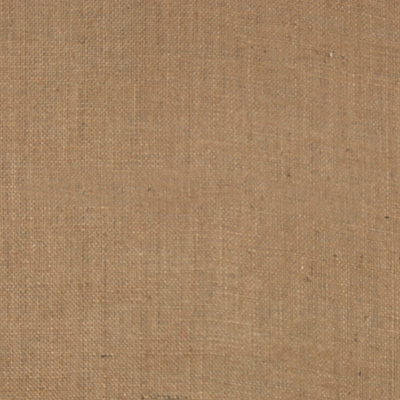 You can also rub a coating of mineral or vegetable oil on tools to keep them rust-free. 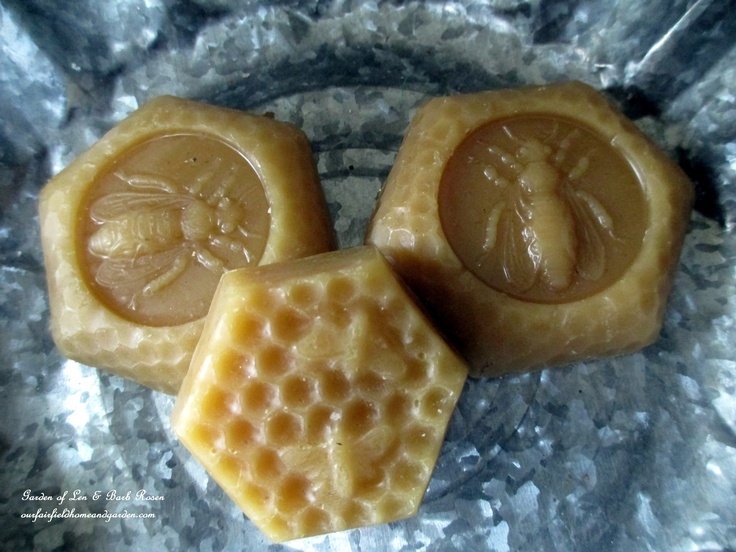 Beeswax from a local beekeeper can protect your tools. Putting the garden to bed is mostly about running over the fallen leaves with our mulching lawn mower and putting the leaf mulch on all the flower beds. 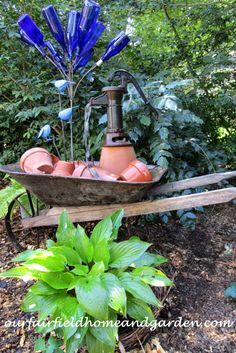 I cut back foliage on perennials that do not have seed heads (such as hostas and ferns) for the birds and put many of the garden accents into the garden shed. 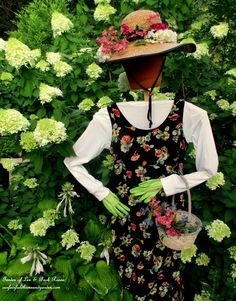 I also use the dried flowers of hydrangeas and seed pods of coneflowers and fennel for natural-looking outdoor decorations. A small heater goes into two bird baths and the others are emptied, cleaned and covered for winter. 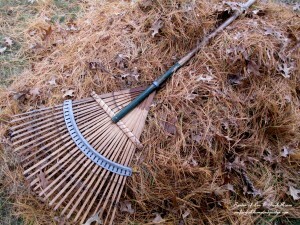 Think about your leaves and pine needles, even pine cones, as free mulch and soil conditioner from Mother Nature! Run your mulching lawn mower over the leaves with the bagger attachment on and you have lovely leaf mulch for your flower beds for free. Many gardeners prefer leaf mulch, which breaks down quickly and enriches the soil, to bark mulch. If you don’t have a mulching mower, compost the fall leaves and let them decompose over the winter to be tucked around your plantings in the spring. 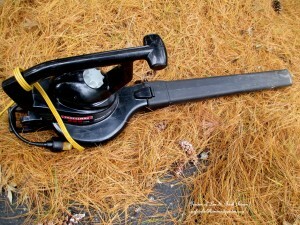 … but a leaf blower speeds things up ! 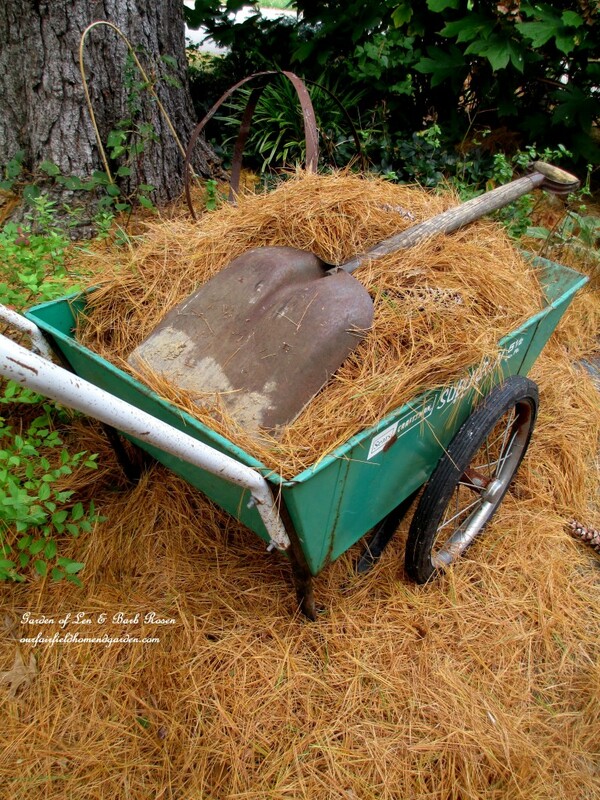 Pine straw makes excellent mulch, especially under acid loving shrubs such as hydrangeas, azaleas and rhododendrons. It looks tidy and nice and is slow to break down as well. Pine straw makes excellent mulch for acid loving plants. 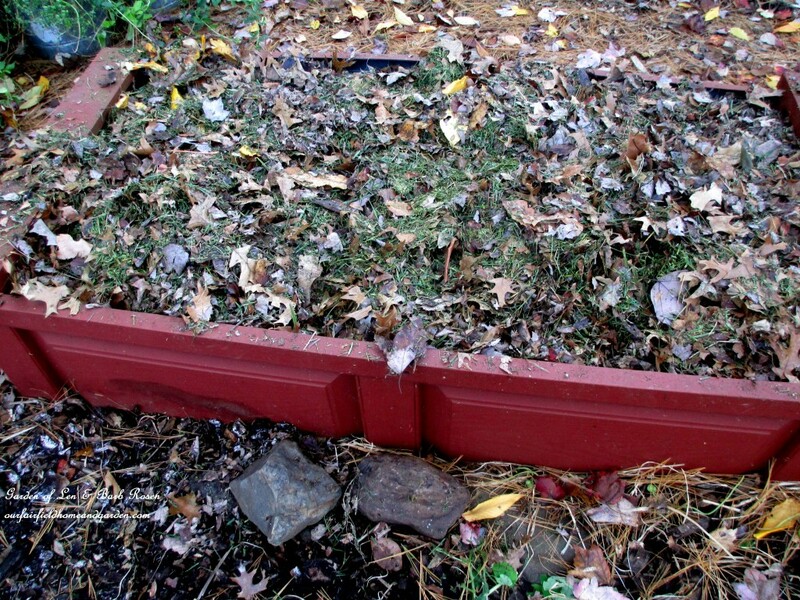 Shred leaves with your lawnmower and top your raised beds and flower beds with leaf mulch several inches thick. 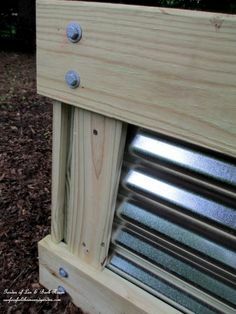 Prop an old window up over greens in a raised bed to extend the growing season. 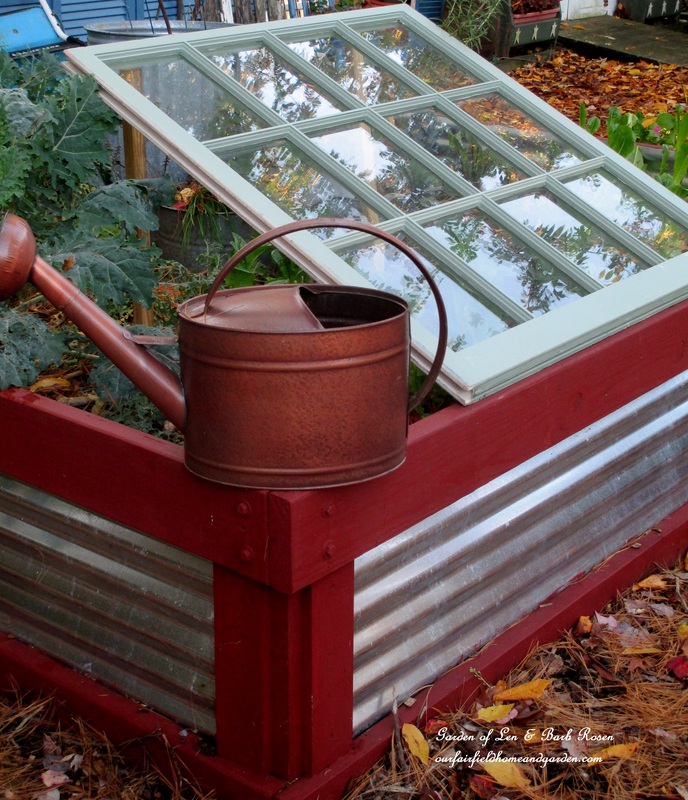 An easy Lean-To Cold Frame! Now your garden has been trimmed, mulched and put to bed for the winter. It is time to relax, dream of spring and pursue your indoor garden- related hobbies, like painting! 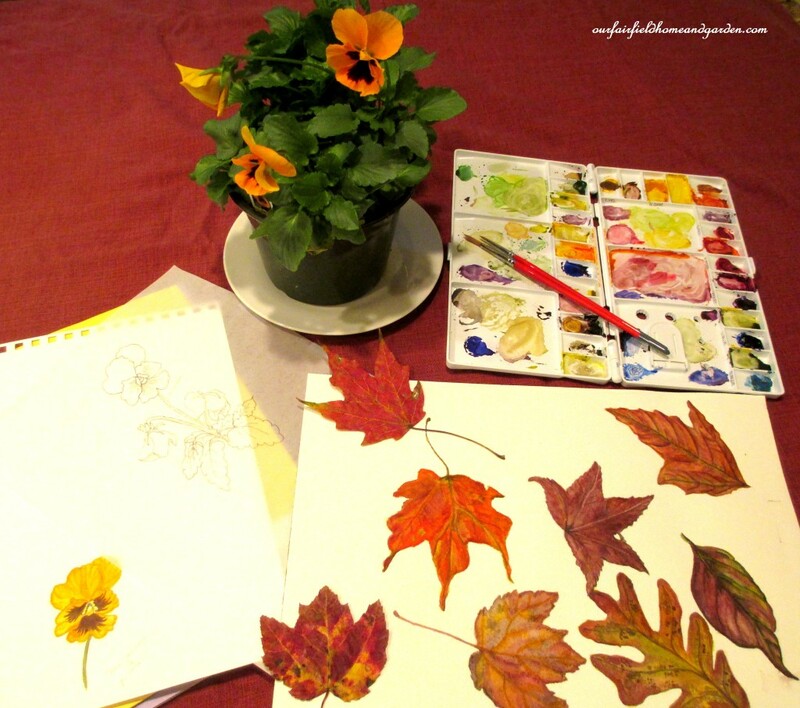 I’m taking a botanical illustration water color course at Longwood Gardens and here are the fall leaves I painted. Now, when I can’t grow’em, I’ll paint’em ! Fall leaves I painted in the water color class I am taking at Longwood Gardens. Love your blog. Lots of useful info to use immediately, esp the dormant spray, and mulch for my vegetable garden beds. Keep up the great work!! I’m signing up for your news!! Wonderful to hear from you, Sandy! So good to know that my tips will be helpful to you. Happy Gardening! I take cuttings from my coleus every fall. I think they make great houseplants. In the Spring, I take cuttings again and plant them outside. Perfect, Helen! You always have Coleus that way! Just found your blog this summer! Thanks for sharing your interest with those of who struggle but enjoy the same likes. Tell me more about this window over the greens!! Where should I look to buy a bench like your cute yellow one? All hints appreciated. Looking forward to how you will get US ready for Christmas. Your art is great. You have many talents. I love the burgandy planter with ribbed metal insets. Do you have a building plan for it for sharing?